Nooroa has been working for the past 5 years within the arts and culture industry as a Museum Guide and educator based at the Auckland War Memorial Museum, Queensland Museum in Brisbane as Science Centre Educator and more recently at the Auckland Art Gallery as 'all of the above'. Nooroa has been instrumental as the conceptual design and primary illustrations for the Greenlight Literacy Programme. An Adult Literacy Programme using a Methodology developed in Latin America. He completed four learning module workbooks/video/CD/DVDs and was the voice of one of the tutor characters. 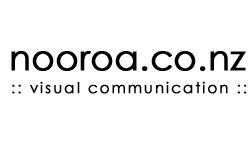 Nooroa has a great sense of humour and is a hard worker. He has attention to detail, has the abilty to keep to deadlines yet still have a sense of fun. Nooroa’s positive nature along with his creative talent. Nooroa is a very capable artist, handy with brush, chisel and computer. Nooroa has always had a passionate about filmmaking, from the concept to the completion and from behind the scenes to in front of the camera. · Made a lifelong dream come true by acting on television, "Shortland Street", "Jackson's Wharf", "Street Legal”,"MATAKU", "Lawless 2". · Guest Artist, Manukau City Libraries.2002 Ongoing. · Tour driver and Kaiawhina (assistant) for, Kashia Pomo First Nations Tribe, Stewarts Point Rancheria, California. 3 weeks March 2002. Lester R Pinola. · Guest Speaker, NZAID Wellington August 2002. Pacific Children and Youth Development.